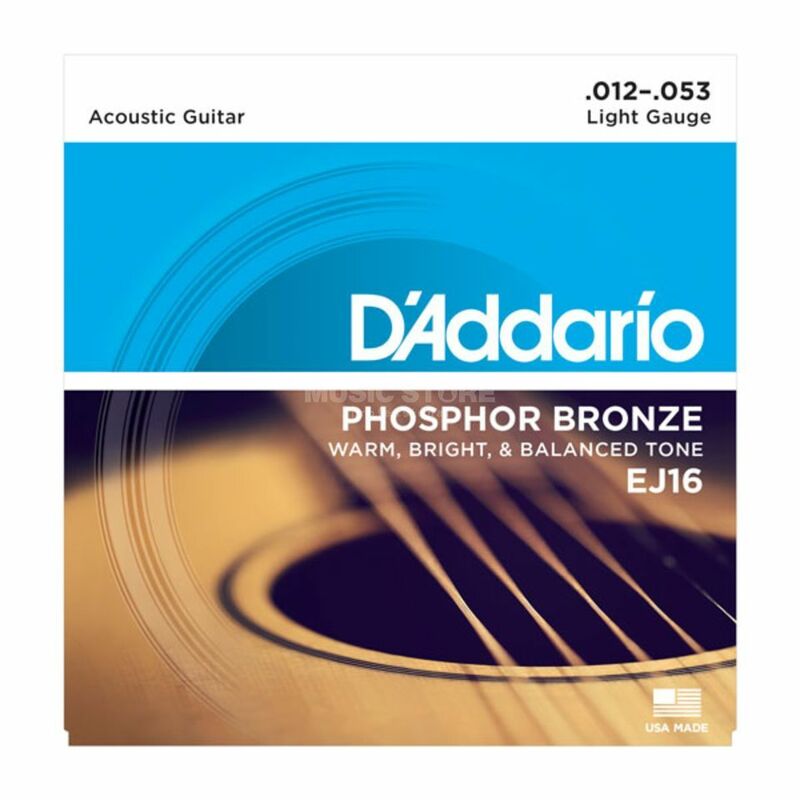 The D'Addario EJ16 Light Acoustic Guitar Strings 12-53 is a set of six strings for an acoustic guitar. The EJ16 set delivers the ideal balance of volume, projection and comfortable playability. These strings are constructed with a carefully drawn, hexagonally-shaped, high-carbon steel core that are precision wound with corrosion resistant phosphor bronze for a warm, bright and well balanced acoustic tone. I like the strings, their price and the music you can produce with them. Very good strings; you can feel the difference from the 80/20.